I have been extremely hesitant about posting this story as I don’t want to blow it out of proportion. Although, I felt the need to post this because of the kind heartedness involved. Recently, G-Buck had his laptop destroyed. He learned first hand why you shouldn’t mix wires, a macbook pro, and a coffee together as it drenched the computer. Accidents happen of course. Unfortunately, G-Buck couldn’t afford to fix it. He is still up-and-coming despite putting out hits such as Gijibae and Don’t Drop That Thun Thun remix. According to the story, Victor Niglio and G-Buck were supposed to grab lunch when Victor suggested they hit the mall. About a year ago, my laptop got stolen & I was broke with no money to replace it. I had no way to work on music & felt lost. Thankfully my grandfather offered to get me a new one & everything was right again. 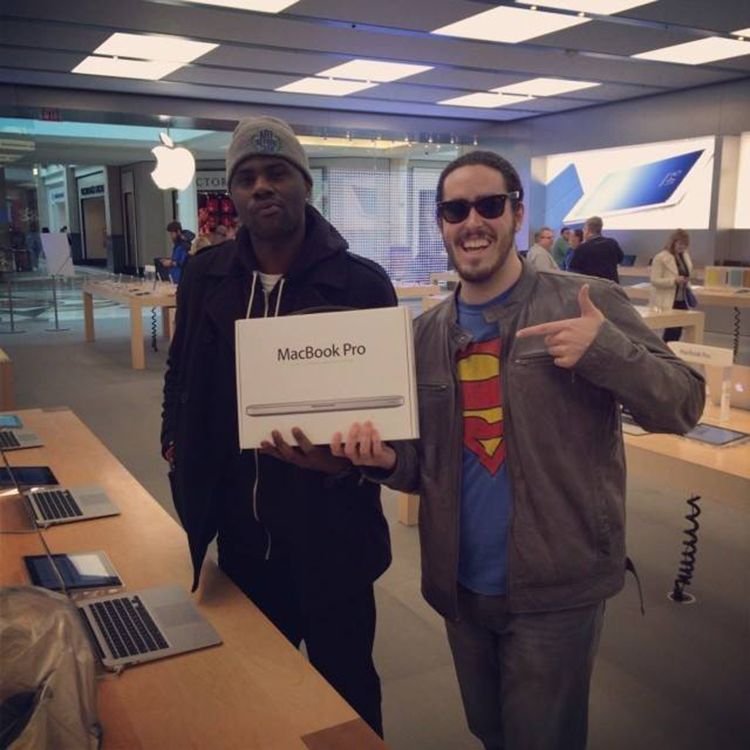 My homie G-Buck’s laptop was destroyed last week & he had no money to replace it. He also couldn’t work on music & I know just how that feels. Since I was in his shoes just a year ago & I’m now in a position to help, today we went out to the Apple Store & I picked him up a new MacBook Pro to produce on. I believe in his music & consider him a close friend so I was more than happy to lend a hand. When I say I always support my homies, I mean it. Be sure to check out his music, he straight kills it! This, right here is straight PLUR. This is the meaning of PLUR. I want to commend Victor Niglio for doing this. It isn’t a cheap purchase and that is what this music is about. I do ask for one thing from the both of you: COLLABORATION? Please?